This is a guest post by Nate of Debt-free Scholar. To learn more money saving college tips, consider subscribing to his free RSS feed. Most college students cannot pay for college out of pocket. Therefore, they must apply for loans or financial aid. Because financial aid is basically free money, all students should apply for it before considering loans. Today I will discuss six common mistakes that people make when applying for financial aid. Not applying – As obvious as it may seem, many college students never even apply for financial aid. They simply assume that they could not get it. However, nearly everyone can get at least some financial aid. For example, even families who make more that $100, 000 can get financial assistance. The American Council on Education estimated in 2006 that 1.8 million low- to middle-income families did not even file the FAFSA (Free Application for Federal Student Aid). They also estimated that 1.5 million of those same families could have qualified for a Pell Grant. Always apply for financial aid, chances are you will get some aid. Missing deadlines – Because if can be worth thousands of dollars, you would think that all students would file the FAFSA as soon as possible. Surprisingly, many families wait until the last minute. That is a big mistake! If you miss the FAFSA deadline, you will not qualify for financial aid! This is a big deal. File your FAFSA as early as possible. Make it your goal to be the first person in the whole nation to submit your FAFSA. Even after you’ve met the FAFSA deadline, you will still have more deadlines to meet. Every school, for example, will have a their own deadlines and requirements. Make sure you meet them. Set yourself a deadline two weeks before the real deadline. That way, if you miss your first deadline, you still have some time before the final cutoff point. Paying for something that is free – For what does “FAFSA” stand? It means the Free Application for Federal Student Aid. Therefore, if any website wants you to pay them for help you with the financial aid process, they are most likely trying to rip you off. The basic rule of thumb for financial aid is “If you have to pay money to get money, it’s probably a scam.” Avoid paying anyone for help with the FAFSA. Instead, get free online support or call your local college – they are normally more than happy to help. Forgetting scholarships – While you are busy filing your FAFSA, do not forget about regular scholarships. Hundreds of thousands of dollars are available in scholarships. Find a good free scholarship search like Fast Web and start applying for scholarships. Just like the FAFSA, make sure you meet all the deadlines and be very wary of paying money for “scholarship help”. Living like you have a rich uncle – Even if you get lots of scholarships and other financial aid, you are most likely still going to be short of cash. Do not live like you have tons of spare cash. If, like most students, you must take out a student loan, you want it to be as small as possible. College is the time for frugality. If you live cheaply in college, you might be able to live more expensively after college. Every time that you want to buy something extra ask yourself, “Do I have to get this now, or can it wait until after college?” Obviously, some extra spending is understandable, but try to be frugal. 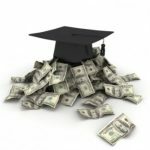 Ignoring federal loans – If you do have to get a student loan, apply for federal loans before you consider private loans. Normally, federal loans have much lower interest rates than private loans. Unfortunately, federal loans have lower borrowing limits that private loans. Federal loans amount to an average limit of $4, 000/year. The first year you can only borrow about $2, 000, but by the last year you can borrow about $8, 000. For a good comparison of federal loans vs. private loans, read this article by Business Week. Obviously, these are only a few of the mistakes that can be made. What mistakes do you think are the most dangerous? Currently, the IBR program forgives debt still owed after 25 years of consistent repayment, and caps payments at 15 percent of discretionary income. Good advice. Perhaps you could have given more info about loans though, since this is really where the bulk of funding will come from for many students. More specifically subsidized vs. unsubsidized loans and the benefits/drawbacks of each. I would add “Waiting until the last minute to research scholarships.” I was fortunate enough to receive enough merit-based scholarships to pay for all of my college experience, including my off-campus apartment and trips abroad. This package consisted of 5 separate scholarships: four of them had application deadlines before Thanksgiving of my senior year of high school and one of them, the National Merit Scholarship, began with my registering for the PSAT in early spring of my *junior* year. There are literally hundreds of scholarships from small organizations who are more interested in sending a high school senior to college than they are in maintaining the education of a matriculated student, so early action is key. Some of these competitions receive no more than one or two applications per year because they time their awards to organizational banquets or other events which have no relation whatsoever to the academic year. Even if you are already in school, you’ll find scholarships which require a full year’s membership to a local civic organization or credit union: if you pay your dues and start the clock, you’ll be eligible in two semesters’ time. Begin your research as early as possible and you’ll broaden your options considerably. Oh, and #6 isn’t necessarily correct these days. Due to really low interest rates, private loans are beating federal loans, though the terms may not be as generous. You also do need excellent credit to qualify, and there aren’t many lenders left. #3 stuck out at me like a sore thumb. Many schools require you to fill out other applications in addition to the FAFSA, and those do sometimes have a fee. Need Access, which is necessary for many law schools, costs something like $25. Not looking for scholarships is a big mistake…a friend of mine with a relative who works in fin. aid office..says that students just don’t ask about these and sign up for student loans without even researching this option. You can file the federal aid application yourself however another option approved by U.S. law is getting help from a fee-based professional student aid advisor and FAFSA preparer. (Higher Education Opportunity Act of 2008.) Much like people choose tax preparers to help them with income taxes, some people prefer having a knowledgeable FAFSA preparer helping them become eligible for the most aid possible. The government’s computer review can approve an inaccurate application – and your aid award will be less than if you hadn’t made the errors. Professional services using with well-trained advisors read every answer to ensure accuracy. has as their goal to maximize your eligibility for aid. The competition for student aid this year is fierce. The Department of Education recently reported a more than 10% increase in filings already and Student Financial Aid Services, Inc., the nation’s largest FAFSA advisory service, has reported a more than 35% jump in calls this January compared with last January. For the 2009 – 2010 academic year, a student can file a FAFSA until June 30, 2010. HOWEVER, the catch is that 70% of all state and college deadlines are before April 15, 2009. The state of Colorado doesn’t have its own deadline, so check with your college/s for their deadlines. Most aid is awarded on a first-come, first-served basis. Filing early is extremely important – especially given the competition for the $144 billion available in aid today is greater than ever. #6 isn’t completely correct. Your and your family’s financial situation determine how much you can get in federal loans and which ones. My parents never could qualify for any loan, which was great for me because it meant I could get subsidized and unsubsidized loans each year. Much cheaper than anything my parents could have gotten, even if they qualified. That point #1 is even on the list is truly sad . . . It never hurts to ask people! Hi Nate. Excellent collection of tips. One financial-aid-related mistake I’d like to caution against: Paying off federally subsidized student loans early rather than investing. As someone who’s only a few years out of school, this is a mistake I’ve seen many recent graduates make. Student loan interest is deductible as an “above the line” deduction (meaning you don’t need to itemize to be able to deduct it). That means that for federally-subsidized loans, the net interest rate is usually extremely low–often below 3%. Neglecting to get started investing in an IRA or 401k (especially one with an employer match) in favor of paying off such low-interest loans makes very little sense to me. This is great advice for everyone out there dealing with college stuff right now. These mistakes are unnecessary and could be very costly. Thanks for sharing Nate!